RAPID RIVER — Brianna Smith did her best to help the North Dickinson girls earn top honors in the 40th Annual Rapid River Invitational track meet Thursday. 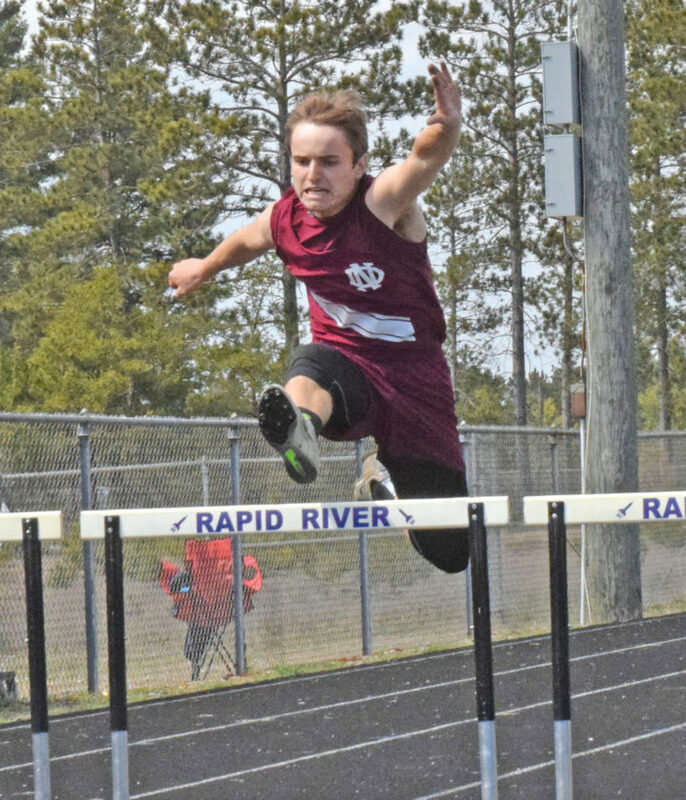 The freshman harrier had a hand in three firsts as the Nordics scored 101 points. Bark River-Harris edged Mid Peninsula 86-83 for the runner-up spot and defending champion Stephenson squeezed past Rapid River 69-68 for fourth. Smith won the 1600-meter run in five minutes, 58.29 seconds, the 3200 (13.38.41) and helped the winning 3200 relay (10:53.39). She was followed by Forest Park’s Taylor Clark in the 1600 (6:02.15) and 3200 (13:52.23). Mid Pen was runner-up in the 3200 relay at 11:22.31. The Nordics got a second from Maia Steinbrecher in the 800 (2:51.72) and their 1600 relay (4:39.11). Mid Pen eighth-grader Daisy Englund collected three firsts, taking the 400 (1:04.49) and 800 (2:41.91) and helped the winning 1600 relay (4:32.86). Forest Park’s Jenna Grabowski took the 100 hurdles (18.71) and Superior Central won the 800 relay (1:57.45). Rapid River dominated the boys meet with 199 points. The Rockets were followed by North Dickinson 87, Mid Peninsula 58 and North Central 54. Glover, who’s battling a hip flexor, ran in the 1600-meter run for conditioning purposes. 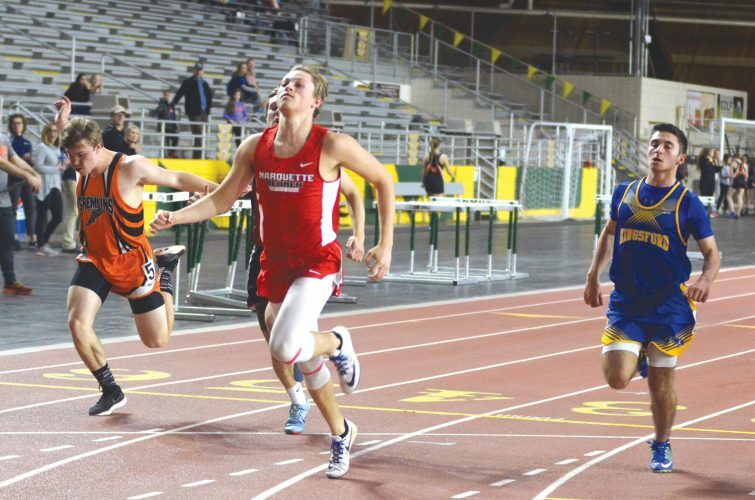 Junior Luke Gustafson won pole vault with a school-record leap of 13 feet, two inches and helped the Rockets set a school record in the 800 relay win in a school-record one minute, 35.3 seconds. He also helped them take the 1600 relay (3:46.72) and 3200 (9:08.35). North Dickinson, led by Garrett O’Neil, grabbed the top three places in the 110 hurdles. O’Neil was clocked at 16.25 in the highs and dominated the 300s (42.42). Sophomore Griffin Johnson provided North Central with a first in the 3200 in a personal-best 10:46.44.